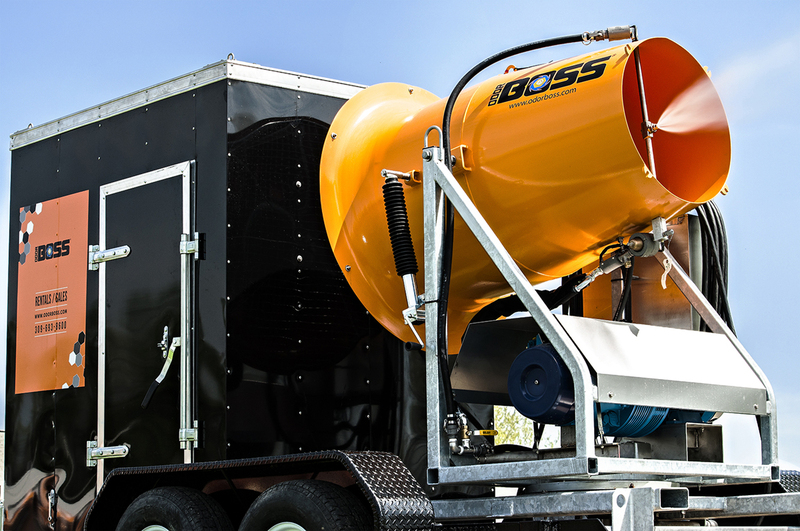 The OdorBoss® 60G with Heat by Dust Control Technology® (DCT) combines an enclosure with insulation, heat tracing and internal heat generation to protect equipment and components during operation and storage in freezing conditions. Originally developed at the request of a customer in the Midwest, the design is a versatile, effective odor control mechanism suitable for year-round use. The unit uses a mixture of water and odor treatment agents to distribute a specially-engineered mist over great distances using a powerful fan that propels the treatment into the air where it can attach to odor vapor. The result is a dramatic reduction in both short- and long-range odor without equipment clogging or downtime from frozen lines, helping companies remain compliant with environmental regulations and maintain good neighbor relations. Impressed with the results during summer, customers asked for an outdoor odor control system that could withstand freezing temperatures and be used on a daily basis without interruption. 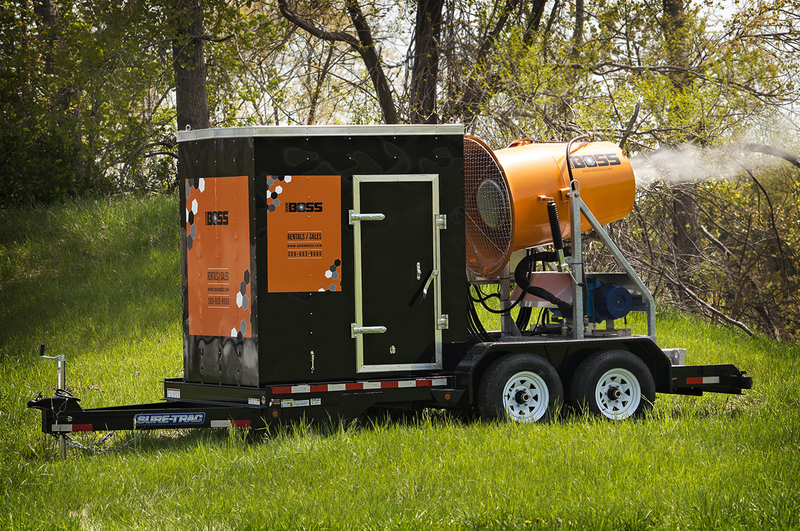 Other odor control methods such as perimeter fence misting units and spray trucks can have serious issues in winter. Perimeter fence misting tubes freeze, rendering them useless for part of the year. Water spray trucks commonly experience ice buildup on the inside wall of the tank, along pipes and around nozzles, often requiring indoor storage to thaw, potentially restricting operation. Inspired by the company’s core line of industrial fan-driven dust suppression products, the OB-60G with Heat has been engineered to deliver a finer mist that is better suited to optimum odor control. Based on principles of matching the droplet size to the size of the targeted vapor, the system uses a special nucleator nozzle and a 10 HP air compressor to create an engineered fog comprised of millions of tiny droplets as small as 15 microns in diameter (approximately twice the size of a human red blood cell). The droplets hang suspended in the air for long periods of time as they attract and collide with odor-causing molecules, counteracting them in the process. freeze-protected water lines and a thermostatically-controlled heater. The key for excellent odor control in many operations is the versatility and low maintenance that the OB-60G with Heat provides. Powered by a 480-volt power source, the special open-ended barrel design contains a powerful 25 horsepower fan that generates 30,000 cubic feet per minute (152.4 CMS) of airflow on one end, which propels the fog created by the Odor X Atomizer nozzle located at the other end. 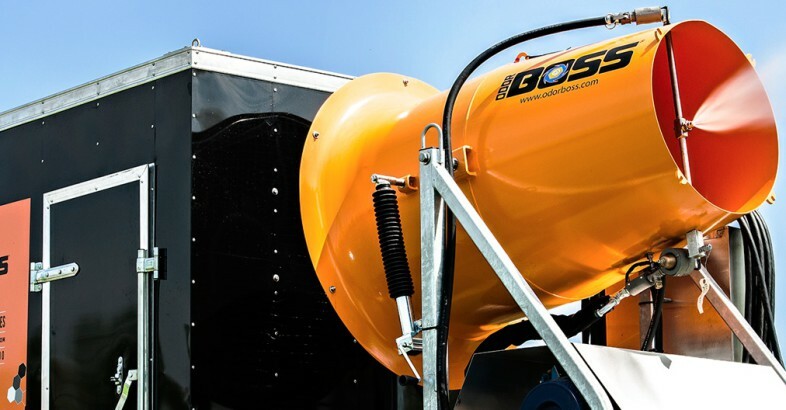 The device is mounted on a towable roadworthy trailer that is also fitted with a 500-gallon (1893 L) water tank housed in an insulated metal enclosure. The unit can run for as long as 16 hours on a single tank filling under normal operating conditions. During operation, a 100-watt thermostatically-controlled heater keeps the tank and equipment within the enclosure well above freezing, while the atomizing nozzle, regulator and other exterior components are warmed by separate heating elements to assure consistent operation without ice buildup. The tank is wrapped in heat tracing and skirted with a wide insulated belt around the bottom. When not in use, operators can keep the genset running or choose the more cost-effective option of switching the power source from 480 volts to 120 volts and using a grounded extension cord to power the essential freeze prevention elements. Depending on the outside temperature, even the unheated enclosure will stay above freezing for several hours after shutdown. ensuring effective operation during cold weather. (2.56 meters) tall, it can be easily positioned in places where most spray trucks cannot reach. Using the touch screen panel housed in a protective NEMA 3R cabinet, operators can set the unit to be aimed precisely where odor concentrations are highest or used as a powerful perimeter barrier with an extremely wide dispersal area using the standard 0-359° built-in electric oscillator and 0-50º vertical adjustment. 15 microns to distribute the deodorizing chemical. 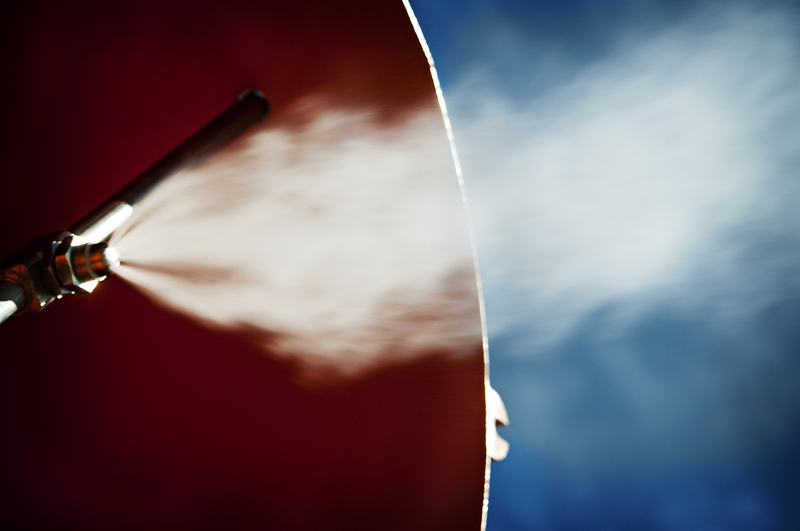 For over a decade, Dust Control Technology has manufactured atomized mist technology that has innovated dust and odor suppression for applications in waste and scrap handling, recycling, demolition and landfills. Headquartered in Peoria, IL (USA), the company supplies its dust and odor control products to customers around the world. All of the firm’s R&D, experience and expertise are centered completely on those applications. The knowledgeable staff helps customers analyze odor sources, working environments and other factors to ensure effective performance under real-world conditions. DCT equipment carries an industry-best warranty, and can be purchased outright or rented from an extensive fleet of dust and odor control equipment.